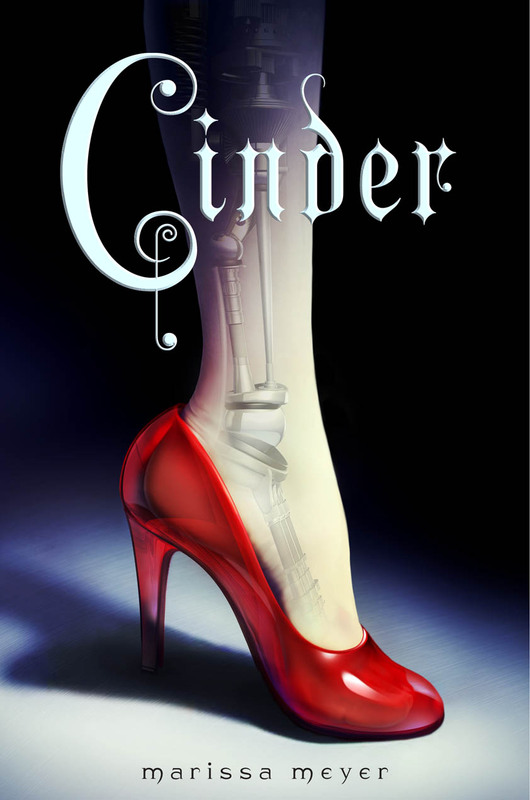 Cinder is a YA fantasy/science fiction novel, and the first book in The Lunar Chronicles. A retelling of Cinderella, set in a New Beijing. In this story we meet Cinder, a gifted mechanic who also turns out to be a cyborg. She lives with her stepmother and two stepsisters (Cinderella.. You know..) and has little knowledge about her past before she became a cyborg. Her life get intertwined with it of the handsome prince Kai when he suddenly shows up to her mechanic stand to get his droid fixed and I guess you can all guess that somewhat of a love interest comes up. The one stepsister that Cinder is friends with suddenly gets the plague and is rushed away. Cinder then wonders why she does not have it since she touched her sister and the plague is highly contagious. In this story there is also the Lunar people and their Queen Levana who is clearly up to no good with a wish to join forces and to marry Kai. I found the writing to be very well done. The way that we get to see the inner voice and information of a cyborg was very different and nice. Also really enjoyed the way that it was written from different perspectives that gave us a lot more insight. It was fast paced and I really liked the world that she built and portraits beautifully throughout this book. Cinder was a refreshing and different character that I really enjoyed, but I think my absolute favorite character in this book has to be Iko. Iko is the house robot and she is all kinds of sassy and brutally honest. Prince Kai had a pretty big part in this book and I really liked that we got to know the prince and not just as a person, but his job and his political views in this world that they are living in. There aren’t that many times that we get to really know the “oh so handsome prince” in the story, so that was definitely a big plus. The stepmother was every bit as terrible as I expected her to be, but the main villain and straight up creepy character has to be Queen Levana. Her past and her actions are just horrible. And she’s also draped in somewhat of a mystery that I look forward to unveiling in the next books. This story is very well made and it was consistent and interesting all the way through the book. I was never bored. But even though I really enjoyed the story, I did find the plot twist to be somewhat too obvious. I wasn’t really surprised by it. And I think I had a little too high expectations for this book since everyone has been raving about it for ages. That said, I really did enjoy the book even though it did not live up to my expectations and I will be continuing with The Lunar Chronicles.